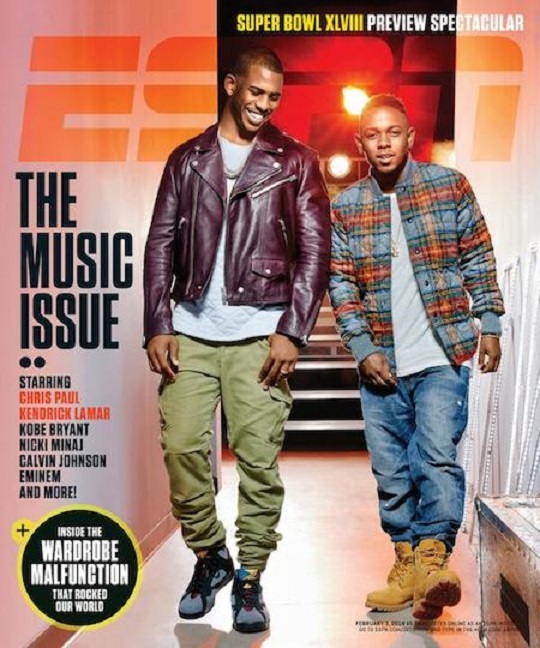 ESPN The Magazine links up with rappers Kendrick Lamar and Eminem. 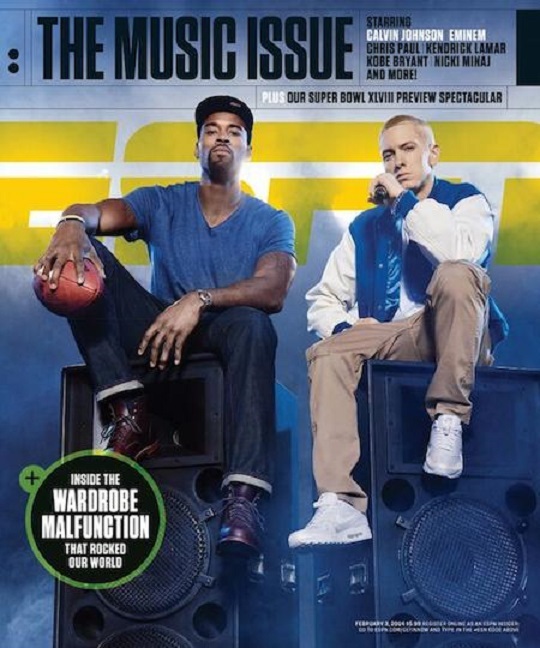 After recently unveiling the music inspired cover with Nicki Minaj and Kobe Bryant, the publication shares with fans the remaining issues also featuring Chris Paul and Calvin Johnson. Check out Lamar and Paul showcase their slick fashion styles while Marshall and Johnson keep things rather casual while kicking back on a pair of huge speakers. As the NFL season kicks off, DJ Skee has you covered with a special give away for one lucky winner and a friend. Download the official SKEE app to any Android mobile or Apple iPhone and tune into Skee 2/47 Radio. When you hear Smart Guy Chevelle hit the Twitter button located on the SKEE app to enter for your chance to win an all expenses paid trip to Minnesota. The winner will be flown out to hang with NFL MVP Adrian Peterson, DJ Skee, Smart Guy Chevelle and hooked up with two tickets to watch the running back in action with the Minnesota Vikings for a Sunday game. As the NFL season kicks off, DJ Skee has you covered with a special give away for one lucky winner and a friend. Download the official SKEE app to any Android mobile or Apple iPhone and tune into Skee 2/47 Radio. When you hear Smart Guy Chevelle hit the Twitter button located on the SKEE app to enter for your chance to win an all expenses paid trip to Minnesota. 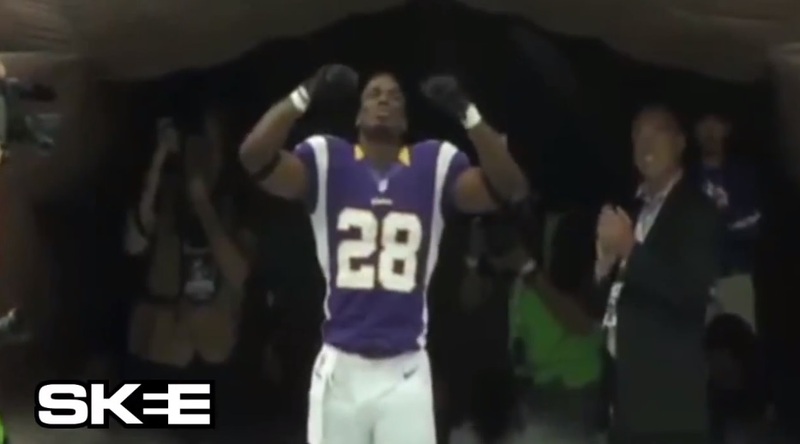 The winner will be flown out to hang with NFL MVP Adrian Peterson, DJ Skee, Smart Guy Chevelle and hooked up with two tickets to watch the running back in action with the Minnesota Vikings for a Sunday game. Tune into SKEE Live every Tuesday at 7 p.m. (PST) and 10 p.m. (EST) only on AXS TV. With ESPN and Gatorade’s upcoming RGIII: The Will to Win documentary approaching its debut next week, Hip Hop Wired acquires the new Wale track that accompanies the film called “No Pain No Gain.” The documentary will chronicle the Redskin quarterback’s road to recovery from his past knee injury sustainted during last season’s playoffs. 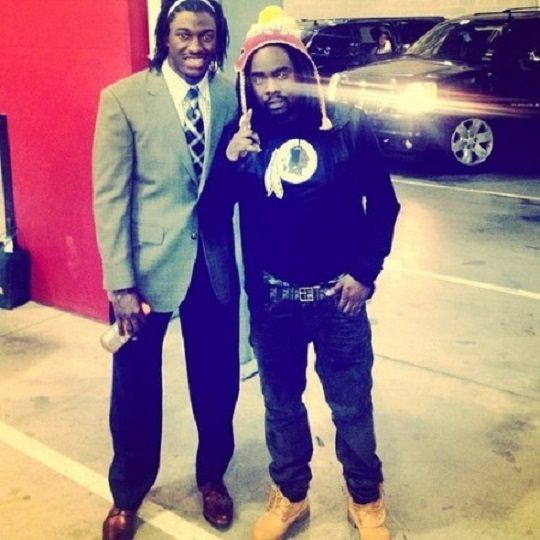 Check out what Wale had to say to Hip Hop Wired on the motivation behind the track. In preparation for day one of the NFL draft ESPN drops this promotional video for “How You Like Me Now” which features a verse from 50. At about 3:15 Kendrick Lamar comes out and performs “Backseat Freestyle” from Good Kid m.A.A.d. City.